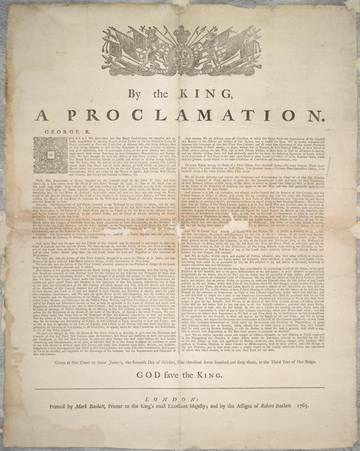 I’ve been seeing these INM posters about the Royal Proclamation of 1763. Apparently its the 250 year anniversary of when our “Native” rights were “officially” recognized by the British courts. The original document applied further south to what is present day America. After Chief Pontiac led a revolt and burnt down 10 of 12 British Forts, (almost completely eradicating Britain from modern day Canada), forced Britain to enter Peace Treaties that were, The 1764 Silver Chain Covenant Belt, The 24 Nations Belt, and the Two Row Wampum Belt. This was supposed to solidify our Indigenous Nations and Settler Nations in Brotherhood forever. With the passing of the British North American Act of 1867, British Law and the British Courts eventually became Canadian Law. Canada then went on to pass the Indian Act in 1876 which legitimized the mass genocide of our people far across the newly formed Canada. In 1969 Pierre Trudeau almost passed the “White Paper” that would have abolished the Indian Act, and all Pre Confederate and Confederate Treaties, thus assimilating us into “Canadians”. So having the Royal Proclamation of 1763, written in the Canadian Charter of Rights is supposed to grant us everything stated in the Royal Proclamation….Right? Not exactly. Fast forward to this April of this year. Thahoketoteh (Doug Fisher)﻿, went before the Federal Courts of Canada. In summary this is what happened. “The court ruled that, “The Royal Proclamation cannot preclude the application of federal and provincial law”. The court said that this dispute resolution mechanism crafted over three hundred years ago [Mohegan 1704] does not apply to disputes between First Nations and the Crown. According to the 1932 Westminster Act Canada was supposed to create a constitution ratified by the people. This never happened. Canada remains a colonial corporation, without a constitution or Bill of Rights. It is my personal observation and opinion, that paper that all these bills and laws were written on, were just pieces of paper that hold no real weight or value in the eyes of the oppressor (only when it suits them). Its all just a strategic ploy to fool everyone into thinking that “progress” is being made, and that everything was is “official” and “recognized”. There is absolutely no sense in trying to uphold British Documents written 250 years ago, that were never meant to be taken seriously in the first place. …But is the the 250 year anniversary, and I suppose that is a reason to celebrate. Or better yet dress up like Pontiac and rebel like its 1762. Giibwanisi is a co-founder of ACTION and the Oshkimaadziig Unity Camp.